Becoming an effective IT manager presents a host of challenges--from anticipating emerging technology to managing relationships with vendors, employees, and other managers. A good IT manager must also be a strong business leader. This book invites you to accompany new CIO Jim Barton to better understand the role of IT in your organization. You'll see Jim struggle through a challenging first year, handling (and fumbling) situations that, although fictional, are based on true events. You can read this book from beginning to end, or treat is as a series of cases. You can also skip around to address your most pressing needs. For example, need to learn about crisis management and security? Read chapters 10-12. 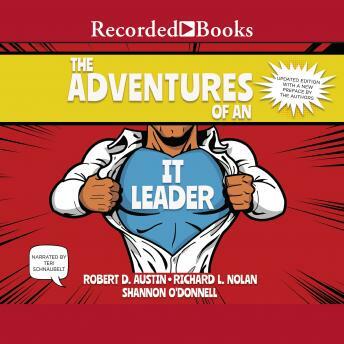 You can formulate your own responses to a CIO's obstacles by reading the authors' regular "Reflection" questions. You'll turn to this book many times as you face IT-related issues in your own career.